Novartis Oncology Access (NOA) is a sustainable access solution through which Novartis shares the cost of its medicines with government healthcare systems, charities and other payers, or directly with patients without healthcare coverage who are unable to pay for the full cost of their medication. The largest of Novartis’ Oncology Access programs – the Glivec International Patient Assistance Program (GIPAP) is a direct-to-patient access program – developed to ensure patients with CML (chronic myeloid leukemia) or GIST (gastrointestinal stromal tumour), two rare cancers, receive treatment. GIPAP’s aim is to provide breakthrough drug, Glivec, at no cost to patients with certain forms of CML and GIST, who would not otherwise have access to treatment. GIPAP also provides patients with access to support groups, treatment and disease information, education and emotional support to help manage their illness. Novartis partners with physicians and international health organizations to facilitate access to Glivec via GIPAP. To reach as many CML and GIST patients in need as possible in low and middle income countries, GIPAP partners have established clear roles for the partners and a clear process for the program, engaged local governments and officials, and educated local partners to gain their support and commitment. The Max Foundation, as Novartis’ main partner in the administration of GIPAP, provides socio-economic evaluation of patients, guides physicians through the patient evaluation process, and provides emotional support, information and referral assistance to patients, their family members and care givers. In addition, we monitor patients to support the highest standard of patient care, collaborate with Novartis to identify and qualify eligible medical centers and physicians worldwide, and protect confidential patient information and data received in the course of program administration. 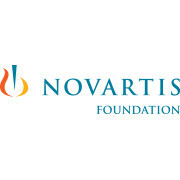 The Novartis Foundation is a philanthropic organization pioneering innovative healthcare models that have a transformational impact on the health of the poorest populations. We work hand-in-hand with our local and global partners to catalyze scalable and sustainable healthcare models that improve access and health outcomes, and accelerate efforts to eliminate leprosy and malaria by focusing on interventions that aim to interrupt transmission. Everything we do is grounded in evidence and innovation, and our work is a continuous cycle of evaluation, adaptation and application. In 2016, the operational budget for the foundation was CHF 15 million and our programs reached 8.9 million people. The Novartis Foundation is committed to ensuring quality healthcare in low- and middle-income countries. Novartis takes a strategic approach to philanthropy, meaning we work hand-in-hand and on the ground with our global and local partners on projects addressing an unmet need in a particular locale. Together with our collaborators, we include innovation and measurement in every project, with the ultimate goal that the projects will evolve into scalable and sustainable healthcare solutions and policies that will improve health outcomes.The total contributions and programs in 2016 were valued at CHF 15 million and reached more than 8.9 million people globally. Founded in 1997, Axios International is a consulting company that specializes in strategic advice and technical assistance to improve healthcare delivery services in low- and middle-income countries. They deliver pioneering solutions to increase access to medicines, diagnostics, and healthcare services through the validation of new healthcare delivery models and methodologies. Over 8 million people (January, 2009) have received tests or treatment through Axios-managed programs (NB. patients may receive more than one service). 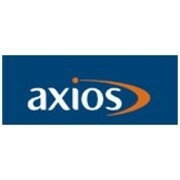 Axios helps modernize healthcare infrastructure and systems. They develop innovative business approaches to improve the affordability of medicines in low- and middle-income countries. Their services include creative access strategies designed for clients who are developing markets in middle-income countries including China and throughout Southeast Asia. They mobilize stakeholders from across the healthcare community, ensuring local ownership and a positive client image. They work through partnerships with governments and communities to create sustainable solutions. Their unique advantage is their collaborative network of healthcare institutions in low- and middle-income countries. This gives them large intervention capabilities and a repository of comprehensive local data and knowledge. They are experts in chronic diseases including cancer, HIV/AIDS, diabetes and cardiovascular diseases. Axios International works closely with the Axios Foundation, a non-profit organization focused on the in-country implementation of philanthropic healthcare programs. The two institutions work hand-in-hand to optimize the impact of their initiatives. The Max Foundation is a global health non-profit organization that believes that all people living with cancer have the right to access the best treatment and support. Through personalized access services, quality training and education, and global advocacy efforts, The Max Foundation aims to help people face cancer with dignity and hope. The services are global and multifaceted. 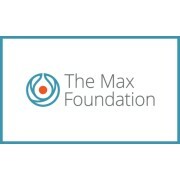 The Max Foundation provides education and training at all levels of the communities in which The Max Foundation works. By partnering with industry, non-governmental agencies, health care providers, and national cancer patient organizations, The Max Foundation is able to support people and provide effective solutions for access to treatment. Through the global advocacy efforts, The Max Foundation works to raise awareness of the disease and draw attention to the needs of people living with cancer. Every year, the dedicated team helps people in more than 100 countries. The Max Foundation honors the spirit and life of Maximiliano (Max) Rivarola who was diagnosed with chronic myeloid leukemia (CML) at age 14 and lived with outstanding courage until 17 years of age. The mission is to increase global access to treatment, care, and support for people living with cancer. The vision is a world where all people facing cancer live with dignity and hope. Max Global Projects are initiatives created by The Max Foundation, carried out in partnership with cancer survivors, caregivers, patient groups, physicians and supporters. Initiatives range from annual projects to short term advocacy efforts. Several of the projects also have a creative element, such as knitting hats for children going through chemotherapy or the annual art project with the “Maximize Life” theme. All of Max Global Projects share the commonality of being community focused with the aim of building sustainable communities around cancer survivors around the world. In 1997, The Max Foundation was established in honor of Maximiliano (Max) Rivarola and his legacy inspires the vision for a world where all people facing cancer live with dignity and hope. Max’s family brought him from Argentina to the United States for treatment, where he lived courageously with a kind of blood cancer known as chronic myeloid leukemia (CML) for three years. With his passing, Max’s family was determined to help other families in Latin America with children diagnosed with leukemia, and that was the original mission. What began as a grassroots organization with several volunteers has evolved into a specialized team of more than 50 professionals. They carry out the work with team members based in Seattle at the headquarters and in many targeted low and middle income countries. Through the years, they have expanded the mission. The Max Foundation now has a full range of programs and services, all focused on serving people living with cancer around the world.